Thank you all for another great week of CSports Baseball. The weather worked out just right giving us a good game day before the nasty stuff hit that night. Again, I was grinning the whole day seeing the players hitting, running, catching, and throwing while their families and fans cheered. I love the spontaneous “spirit tunnels” formed at the end of each game. If your younger teams or leagues don’t automatically do this, please start! The kids love running through the tunnels hearing the cheers. Granted, the older kids probably won’t be as excited. Pre-game prayers, devotions during practices, and just the general environment where we celebrate that we are all really on the same team are how we work each week to get better. One day, when the players reach school ball age, the competition will be serious and we want our players (or alumni) to have instilled within themselves the spirit of sportsmanship. Teamwork and a good grasp on what “playing” is about is important. Such a foundation will make players the natural leaders on a team as well as a good parent and coach one day. I love the passage in Ephesians 8:10 which says, “For we are God’s handiwork, created in Christ Jesus to do good works, which God prepared in advance for us to do.” I’m not sure where I stand on the “meant to be” issue as I know God gives us freedom to choose our direction in life. Still, I know He has a purpose for each of us to become and to produce as we grow, mature, and influence others. I don’t believe it is an accident that each of you has been given responsibility over areas of this ministry. You change lives every time you communicate with one of the young ones (or even older ones), when you direct them, compliment them, or correct them. God has expectations for each of us and, just as we should be doing in our jobs, homes, and social circles, we should be attentive. We should strive to be better, learn about each other so as to better communicate and serve each other. Lead in word and deed. 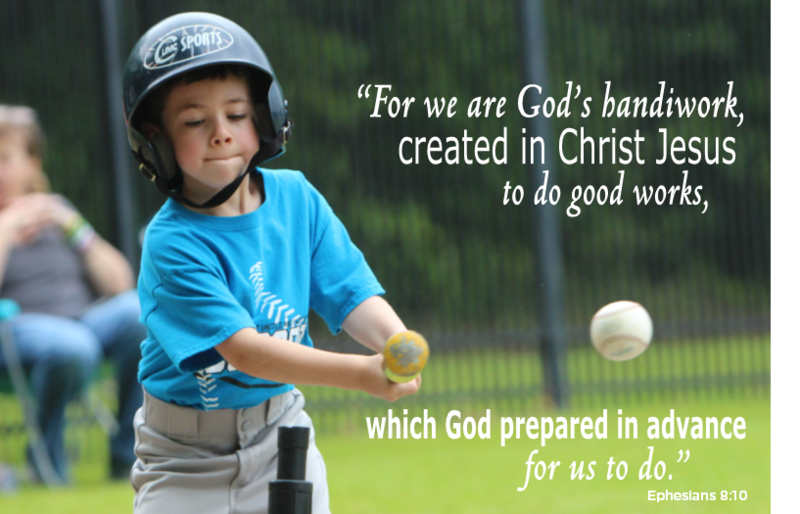 What a joy it is to be God’s child and to share in the joy He brings to our ball fields and community. This is a Holy Week! Go to services and concerts. Experience the word and season of Easter. Remember, no games this coming Saturday. Plan for Team Service Projects. Celebration Banners will be created soon. Be preparing your families for the CSports Baseball Celebration in our SANCTUARY (not gym this time) on Sunday, May 5, at 3:00pm. They need to be here by 2:45pm to get a seat and fill out a response card. Thanks for all you do for this ministry! See you on the fields! Thank you all for another wonderful day of C-Sports Baseball! This week we got to share the day with our church’s Easter Bazaar on the campus. I drove by early in the morning and then had to go participate in a funeral, but when I returned, games were still going on and there were a number of our families circulating among the children’s activities at the Bazaar. I love it when people from the church can see our sports programs in action and I also love it when our church can display our many family oriented activities so that the C-Sports families can come meet and enjoy! A big thanks goes out to Mrs. Rose and staff from our youth and children’s ministries for handling a potentially dangerous situation early that morning prior (fortunately) to the time families began to show up. We are a big church with a wide open campus and occasionally we have to come together to protect people and property. I was reading some of the prophesies in Isaiah recently and saw the one I’ve referred to a number of times. It begins in Isaiah 11:6 saying, “The wolf will live with the lamb, the leopard will lie down with the goat…” and ends with, “and a little child will lead them.” There are great prophesies throughout the Book regarding God’s plan for the redemption of His people, but I enjoy taking out of context this passage where it refers to a “little child”. King David was a little child when he was anointed to be king. Jesus, Himself, came to us as a little child. I’ve made many references before about the children who play on our ball fields and in our gym and how many of them will one day “lead”. It may be a family, a work crew, a school, a community, a CSports team, or whatever, but whatever happens 30 years or so from now… these little children will be leading. I often hear our fears expressed regarding the government, the church, society in general, along with “fun” things like school or team rivalries. Our children and the ones we coach hear us and will use our comments to shape their own perspectives. Teaching that “the other team is the enemy” or speaking in a negative tone about our leaders (true or not) must come with the responsibility of explaining to the children the reality and basis for such comments. When we favor a team it isn’t necessary to be negative about other teams. We may applaud the courage of an elected official who will put themselves in front of a potentially hostile crowd to stand for what they believe whether we agree with them or not. Trust me, I’m very opinionated, but I respect leaders, referees, people who will make decisions. I try to remain humble, speak and display what I believe to be true and righteous, and model humility for my kids and grandkids. Still, I want to be courageous. I want to lead from wherever God puts me in my life. But, wherever that may be, I want to be a peacemaker. What brings hundreds of people to our ball fields each Saturday? “Little children”, that’s what. What brought so many people to our Easter Bazaar Saturday? Same answer. I find that there are very many times and places in which I find myself following, indulging, entertaining, nurturing…well…being led by little children. Let’s celebrate this reality and go full force in the direction God has set us. As the song says, “Let there be peace on Earth and let it begin with me”…with me teaching the future leaders about faith, love, humility, courage, grace, mercy, and service. Thank you for all you do for this ministry and for the future of this community! See you on the field! Thank you all for another beautiful and productive day/week of C-Sports Baseball! I always tease Mrs. Rose implying that she and God have a deal about weather on practice and game days. Ok, Mrs. Rose…we need some rain! Anyway, the smiles and laughter Saturday matched the obvious improvement that I see each week in skills and abilities displayed by our young athletes. Your work and influence is paying off in big ways. This has been a tough week for some of us here at Christ United as we lost a dear friend. I got a text from a staff member asking me for a scripture that may address sorrow and emptiness. The words of the 23rd Psalm came to me immediately. There is where we read that “He restores my soul”. When I booted up my computer this morning my first email was from the Head of our Grounds Ministry, Ricky Bell, informing me that the gas cans for the mowers were empty. Since we use most of the grass here, the Recreation Ministry supplies the gas. I put the empty gas cans in my truck and headed to the gas station. The whole time I was planning my Monday which includes writing my weekly message to you. I always pray for the words God wants me to share. I was doing that as I lifted the empty gas containers…containers that supply the gas that is needed for our fields to be manicured twice a week so that so many people can experience the fun and fellowship this ministry provides. The gas cans were empty…much like the emptiness so many of us were feeling…and yet, it was my job to fill them so that their purpose may be fulfilled. When I suggested the 23rd Psalm to my friend I was feeling the need for restoration. 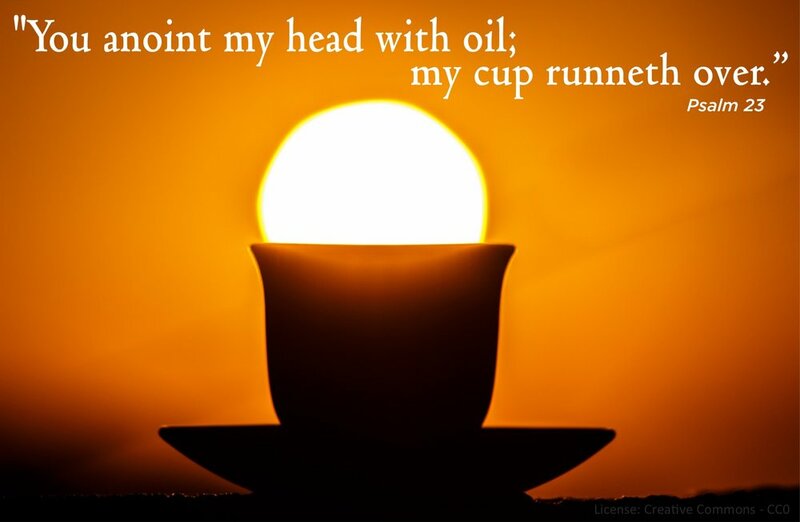 It came back to me as I filled the cans…”You anoint my head with oil; my cup runneth over.” It was time to let the Spirit “fill my cup”. Yes, God is good all the time. He is faithful in good times and bad. 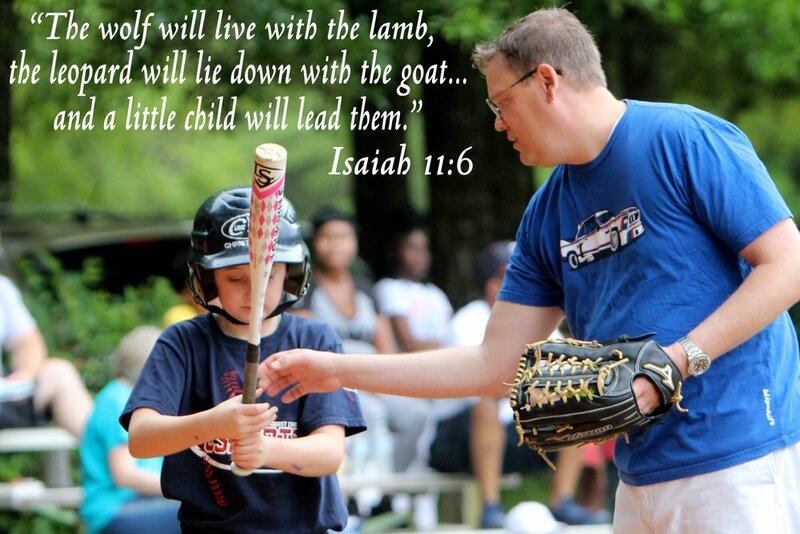 As you and I minister to the families on the ball fields we often have no idea what may be going on in their lives. I had the opportunity for the first time since we began this ministry last Monday to lead a team devotion during practice. As I knelt in the circle with the coaches and players looking toward me for God’s message, it occurred to me what a blessing you coaches must feel each week. You are filling their “cups” with God’s word of love and assurance. The prayer requests range from help momma find a job to help my foot stop hurting. And the eyes are on us as we supply the word. A song that I have done at many youth camps and devotion opportunities is “Fill My Cup Lord” Which says, “Fill my cup Lord, I lift it up Lord, come and quench this thirsting of my soul. Bread of Heaven feed me till I want no more. Fill my cup, fill it up and make me whole.” I pray today that your “cups” are full and running over with the blessings of the Holy Spirit. Spill them onto the players and families who will be coming to you this week. Love them with God’s love and guide them with His hands. Thank you all for what you mean to this ministry. Have a great week and I’ll see you on the field! Saturday was a beautiful day for CSports Baseball! I enjoyed watching the energy of the players and coaches and especially seeing (and participating in) the celebration tunnels that all of the parents and fans make for both teams to run through as everyone cheers them. As Mrs. Rose and Carlos work so hard to facilitate the games and practices, I enjoy walking around the fields hearing people speaking so highly of CSports and how effective we (you) are at teaching skills while molding character in the players. As I am in my office typing this, a past CSports parent came into my office to tell me how many CSports families they saw at a middle school soccer tournament this passed weekend. I’ve also seen Facebook posts from CSports families who participated in the Azalea Trail Run. The “hour or so” that you spend each week is far reaching and I thank you for your spirit of willingness as you make this community a better place and affect lives going into the next generation. Your service is more valuable than you know! I realize that I utilize Proverbs 22:6 an awful lot in my messages, but it is one of the greatest challenges and inspirations I know of for our ministry. It says, “Train up a child in the way he (she) should go, and when he (she) is old, he (she) will not depart from it.” After games Saturday my wife and I returned home to prepare for “Lasagna Night” which is my daughter’s choice for her birthday celebration each year. There were lots of friends and family at our house and a good time was had by all. My grandsons were there and were good hosts to all of the young ones who got the tour of the play room. After the party, my oldest grandson asked his mom and dad if he could stay at our (Meme and Granddaddy’s) house for the night. They agreed and we enjoyed having him as we always do. HOW CAN WE TELL YOU THE THINGS WE MUST TELL YOU, THINGS THAT WE WANT YOU TO KNOW. ALL ABOUT LIVING AND REASONS FOR GIVING AND THINGS THAT WILL HELP YOU TO GROW. OH WE’VE WATCHED YOUR DIET, TAUGHT YOU TO BE QUIET IN PLACES OF WORSHIP AND SCHOOL. WE’VE KEPT YOU WELL GROOMED IN A NICE TIDY ROOM AND WE’VE MENTIONED THE GOLDEN RULE. BUT ALONG THE WAY DID YOUR HEART HEAR US SAY THAT YOU DON’T HAVE TO EARN OUR LOVE. NOT A THING YOU COULD DO COULD MAKE US STOP LOVING YOU JUST THE JOY THAT YOU’VE BROUGHT IS ENOUGH. THERE ISN’T A THING THAT THE FUTURE COULD BRING THAT COULD TAKE BACK THE GIFT THAT YOU ARE. YOU ARE A TREASURE WE NEVER COULD MEASURE. JUST SOME THINGS WE MUST TELL THE CHILDREN. I’M SURE WE’VE TOLD YOU TO MIND ALL YOUR MANNERS AND GET TO APPOINTMENTS ON TIME, AND DID WE REMIND YOU TO HANG UP YOUR CLOTHES AND TO FINISH THE HOMEWORK ASSIGNED. YOU’VE LEARNED TO CARE FOR YOUR TEETH AND YOUR HAIR AND YOU MAKE YOUR OWN BED EVERY DAY. YOU’VE GOT DECENT GRADES AND YOUR LUNCH MONEY’S PAID AND YOU WON YOUR FIRST GAME YESTERDAY. BUT DID WE MAKE IT CLEAR, WERE YOU ABLE TO HEAR AS YOU SKIPPED THROUGH THE HOUSE AND OUR LIVES THAT GOD HAS A PLAN THAT YOU MUST UNDERSTAND NO MATTER HOW MUCH YOU’VE “ARRIVED”. NEVER STOP DREAMING KEEP WORKING AND SINGING BUT REMEMBER JUST WHOSE CHILD YOU ARE. STAND TALL AND WALK STRAIGHT AND BE HOME BEFORE EIGHT, JUST SOME THINGS WE MUST TELL THE CHILDREN. AND WHATEVER YOU DO, REMEMBER WE LOVE YOU. JUST SOME THINGS WE MUST TELL THE CHILDREN. I thought, what if, God forbid, this is the last time I’ll get to sing this to him? Have I done everything I could for my kids and grandkids to know these important things? My son and daughter have both grown up well, gotten a great education, chosen wonderful mates, and had amazing children, all of whom my wife and I get to spend time with each week. Am I missing anything in conveying to them my love for God and how important it is for them to share their blessings with others? Blessings and expectations are closely related. Daily interaction with our young ones is important in terms of consistency as we teach and model the important things. We do that on the ball fields as well. Please never take for granted what you are doing when the young eyes are looking at you. Love and teach to love. Serve and teach to serve. Be kind and teach kindness. Worship and teach to worship. Praise through prayer and singing whenever you can. This has been on my heart for two days. Thanks for letting me share. Good morning 2019 C-Sports Baseball volunteers! For those of you who may be new, each Monday after weekend games I try to reach out to you with reflections from the game day. Saturday was chilly and a bit dreary but the games seemed to go very well. I could only be there for a few minutes into the first games as I had to attend a funeral in downtown Mobile. Mrs. Rose and Carlos run a great program so if you ever have any questions, look them up. They are always circulating around the fields. I want to take this opportunity to thank you all for what you are doing for this ministry. We have three of us who are full time Rec staff and several part time staff who assist with team sports and who run the rec desk for 15 hours a day each week. We serve around 1400 children and youth in our sports programs each year and many more than that who come to walk our track, work out in our fitness room, and play on our basketball and volleyball courts. Without volunteers like you we could never accomplish the ministry God has called us to provide to these people in our community. Our efforts are to organize and equip. You are the ones who will be remembered by the players and parents who will learn and be transformed athletically and spiritually from your demeanor, your instruction, your words, and your example. Often youth sports become just a play opportunity or a recreational time consumer, both of which are fine, but they are not our purpose. I love the passage in 1 Samuel Chapter 16 where Samuel is told by God to anoint a king. In verse 11 Samuel asks Jesse, “Are these all the sons you have?” Jesse answered, “There is still the youngest, but he is tending the sheep.” That “youngest” son became King David, a man “after God’s own heart”. 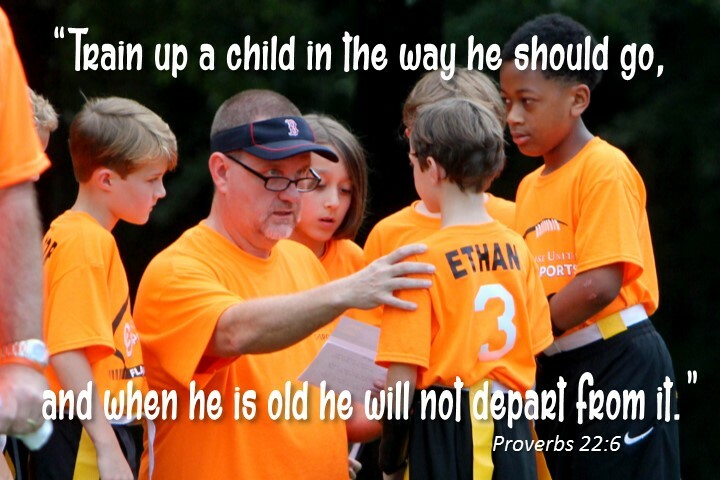 There is a song played often on Christian radio that repeats over and over, “When others see a shepherd boy, God may see a king.” Let me tell you something about the children you are leading on the ball fields. Most will one day be a mom or dad. Some will probably coach C-Sports teams one day. Some will own a business, build homes, help to heal the sick, lead through elected or appointed office, teach skills or academics, or lead others to Christ through ministry. 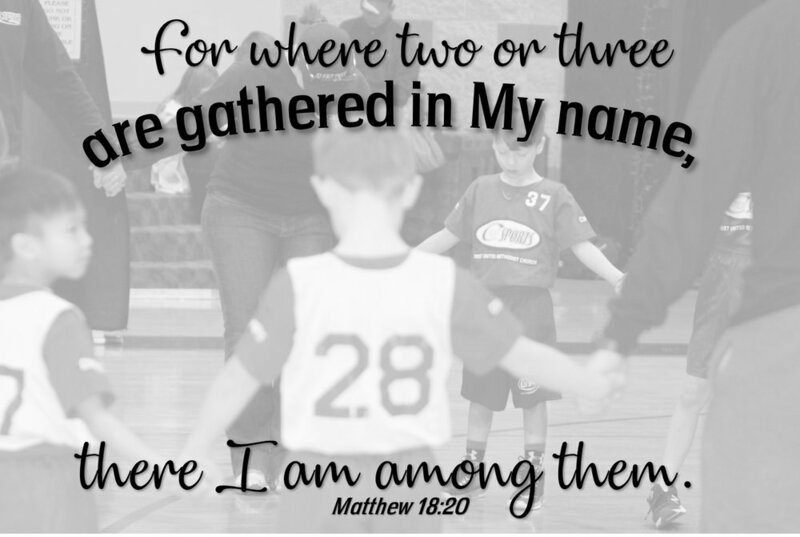 Your influence on them this week…this season… will play a part in their development in terms of self-discipline, self-confidence, sportsmanship, teamwork, and Godliness. They will hear your devotion presentation and sense your sincerity. They will feel your love and concern as you make them better players and teammates through your guidance. This is not to put additional pressure on you in your volunteer position, but instead to validate God’s call upon you to make our community a better place one child (or ten) at a time. On Sunday, May 5, we will have our 2019 C-Sports Baseball Celebration in our SANCTUARY (this time) at which time our teams will present a banner thanking you and all of our volunteers, and all of our players and parents will fill out and submit Response Cards indicating their reflections on the season. There are always 30 to 50 people of all ages who indicate that their life was changed or their faith was strengthened during the season. 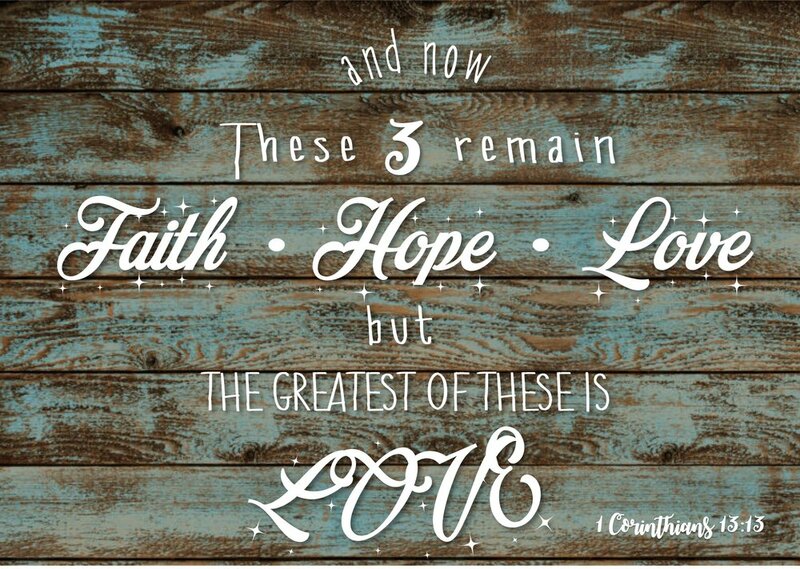 As great as that is, I always wonder, “Did we miss one?” Let’s all commit ourselves to Loving God, Loving people, and Changing the World as our Church’s mission directs. Thank you all for everything you have done, are doing, and will do as this baseball season continues. See you on the fields! Saturday was a great day for the first games of the new year! We had an organization here doing free child ID CD’s for parents. Thanks to all who participated in that! I know of two players who got their first baskets, one of which was partly due to both coaches working together and one player on the other team helping to make it possible. After my staff, volunteers, and I had just finished clearing, cleaning, and mopping the gym I saw that I had a missed call from one of those coaches. I called them back and heard that story which renewed my strength right then when I needed it! I have spoken and written throughout the years of the many incidents in which coaches have joined forces to teach important lessons to their players. Winning a game is fun and will be remembered all the way to McDonalds, but working together to brighten the life of someone else is a character builder that will change a perspective and will be manifested in many ways for years to come. Thank you coaches!...and good hearted players! I was blessed to be able to share in each of the halftime devotions Saturday. I reflected upon the new year with hopes that all enjoyed their holidays. I told about our family Christmas at my house during which my 5 year old grandson read the Christmas story from the second chapter of Luke. He was sitting on my son’s lap and needed a little help with the big Bible words, but throughout the reading his eyes were big and focused. You could sense the excitement in his tone. That excitement was contagious as we all leaned forward to hear as though it was the first time we had heard the story. Much like a child reading the Greatest Story, or, a child scoring his/her first basket, it is important that we show our excitement, assurance, and motivation in all that we do as we influence all in our paths. I, as do all of you, have schedules to keep, expectations to fulfill, concerns, dreads, etc. but the assurance of God’s love, which is also displayed through my love for and from my family, must be shown through my words, deeds, and attitude. 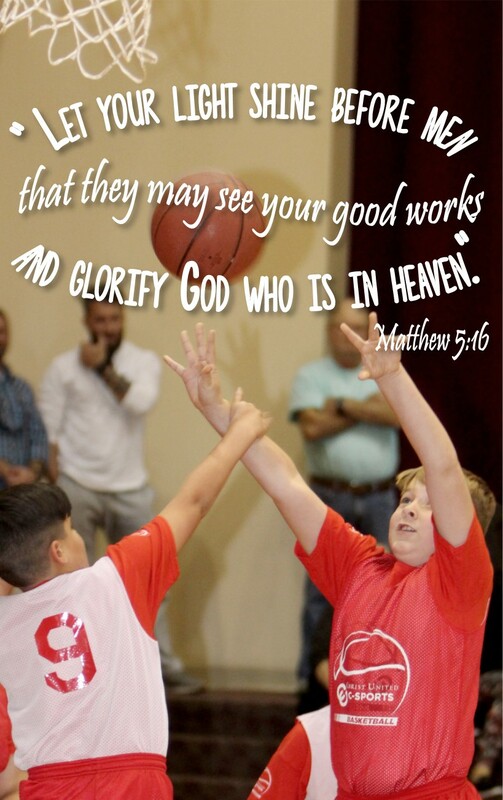 Jesus tells us in Matthew 5:16, “Let your light shine before men that they may see your good works and glorify God who is in heaven.” Our actions and attitudes will lead our children and teams. Our efforts reflect our values. This coming Sunday we will have our 2018/19 CSports Basketball Celebration in the gym at 3:00pm. Families are urged to be here by 2:45 to fill out response cards and find a seat. Let’s be sure to encourage all of our teams and families to attend. It is a major part of the season, plus, you coaches have to hang on to any trophies that go to players who miss the celebration J .
Saturday I was told that many people in the gym cannot hear or understand when Mrs. Rose or I speak over the microphone. We will be trying to improve on that this week. Big thanks to the person who told us! Please be getting Team Service Projects completed and the paperwork back to me in the next two weeks. Thanks for all you do for this ministry! See you on the court! Welcome back! Three more weeks of CSports Basketball and we’re hoping to finish big! Those of us who made it to the CSports at the Jags night this past Saturday had a blast! Practices start back this evening (sorry Bama fans) and games resume this coming Saturday. Coaches, please see if you can spare an extra hour Saturday to help ref one of the full court games. Let Mrs. Rose know. Thanks! Please see the attached image. 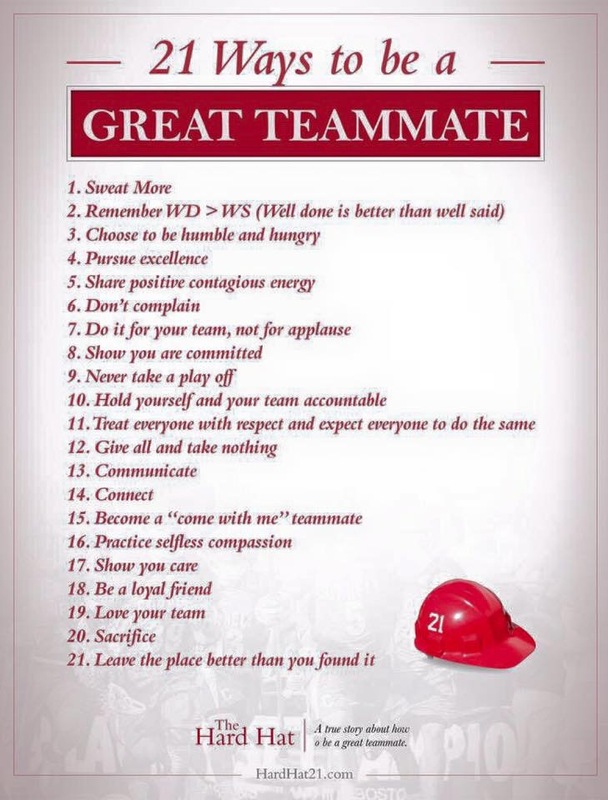 I saw it last week and thought it would applicable to all you are teaching your teams. As you are all displaying with your service through this ministry, our offerings are validated by our efforts and intent. King David said in 2 Samuel 24:24, “I dare not give as an offering that which cost me nothing.” I trust that you will all be blessed as a result of your spirit and efforts in pursuit of life changing influence upon those whom we serve. The Holy Spirit is alive and working through you every time you work with a player, organize an event, assist a parent, or share a devotion. Thank you for all you do! Please be reminding and encouraging people to be at the CSports Basketball Celebration Sunday, January 20, at 3:00pm. Tell them to arrive early so that they can fill out the response cards and help us make this ministry more effective. Players and coaches are asked (but not required) to wear their basketball jerseys/shirts. Good afternoon C-Sports staff and volunteers! I hope you are all enjoying the holiday season and soaking in all of the Christmas programming you can attend. Saturday was another great day of basketball. We have one more game day this coming Saturday and then we will break for the Christmas and New Years weeks. We have more free Dollar General Bowl tickets to give away to people who plan to attend the game and we have more of the C-Sports at the Jags tickets for the January 5 game at the Mitchell Center to sell at $5 per ticket. Please come get these this week!! Saturday I was blessed to share several of the halftime devotions during the games. This time of year makes it easy for me to feel the Spirit moving throughout the gym and in the hearts of all present. I spoke a bit about our church and neighborhood programs in which we celebrate our Lord coming to us as a tiny baby. The humble entrance increases the effect of our Creator becoming “one of us”. My message Saturday was an effort to remind all of us who love every aspect of Christmas to remember the purpose for which He came. While every story of His birth and childhood carries meaning we don’t want to get carried away with the beauty and sentiment of the precious Baby and forget the full story of His time here on Earth. Just as Jesus had a purpose, we also have a purpose and calling to fulfill. We have a very diverse membership in our C-Sports and Recreation family. We serve in many ways through our jobs, our interaction with family and friends, and in the positions of leadership/servanthood (the same thing) we are called to in the church and community. The longer we live the more we increase in knowledge and wisdom. We are told in Deuteronomy 4:9, “Watch yourselves closely so that you do not forget the things your eyes have seen or let them slip from your heart as long as you live. 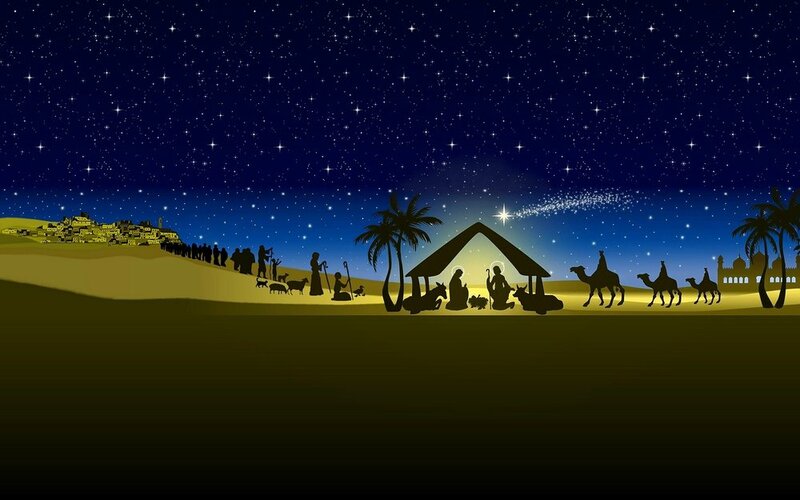 Teach them to your children and to their children after them.” The story of Christmas has both history and future. Both are important to the total “reason for the season”. Let’s be sure to use this time of the year to not only celebrate the season, but to develop a year round habit of seeking and speaking the Word – especially to our children. As we celebrate Jesus “coming to us”, let’s also “come to Him” through our prayer life, Bible study, and witness. Thank you all for your efforts here in our Recreation Ministry. We see and hear great words of testimony from many who are served and changed through your efforts. I always enjoy hearing from coaches or others who volunteer to mentor and lead about how they don’t understand how the Spirit uses their simple efforts to change the lives of generations to come. Just as Jesus spread the loaves and fishes to the thousands, He uses our simple devotion to Him in miraculous ways. Keep up the good work. May our Creator, Lord, and Savior touch the lives of all you reach through your formal and informal influence in this ministry and your families during this “Most Wonderful Time of the Year”!! One of the best things about this past Saturday was that we were inside! Warm, cozy, and dry! Thank you for another great week of CSports Basketball. We have two more Saturdays of games before we break for Christmas and New Years. Please remind all on your teams to get their CSports at the Jags Basketball tickets asap. For some reason, people tend to wait until the last minute to get them, but when I run out at the last minute it will be too late to get more! These will make a great Christmas gift to the young players and we got a great price from the USA people, $5 per ticket. This week we had really contested games, some ending in a tie at the last second! The players played hard and the natural competitive emotions caused some fouls and feelings. Let’s work hard to govern these. 100% effort is expected but the rules of the game set boundaries. Some of the emotions generated really good bonding among those who felt their blood pressure rise and quickly turned it into self-awareness and forgiving (that included me). Coaches, you guys do so much for our ministry and several of you coach more than one team. That is above and beyond. However, there have been times when people who have committed to referee games have not shown up. Coaches, please see if it is possible for you to referee some of the times. There were a couple of games in which there was only one volunteer referee and that is tough in any sport! Please let Mrs. Rose know if you can donate another hour on a Saturday. If I decorate my house perfectly with lovely plaid bows, strands of twinkling lights, and shiny glass balls, but do not show love to my family, I’m just another decorator. If I slave away in the kitchen, baking dozens of Christmas cookies, preparing gourmet meals, and arranging a beautifully adorned table at mealtime, but do not show love to my family, I’m just another cook. If I work at the soup kitchen, carol in the nursing home, and give all that I have to charity, but do not show love to my family, it profits me nothing. If I trim the spruce with shimmering angels and crocheted snowflakes, attend a myriad of holiday parties, and sing in the choir’s cantata but do not focus on Christ, I have missed the point. Love sets aside the decorating to kiss the husband (or wife). Have you taken the time this season to call someone you know who doesn’t have many friends or is a “shut-in”? Have you handed a dollar to your child to put in the salvation army bucket at the store? Have you shared a good word with someone you don’t usually speak to at work or in the neighborhood? My wife and I had a great night last night at my son’s choir presentation. I sat with my wife, my daughter and my son in law. My daughter in law was serving in the church nursery and was taking care of my youngest grandson. My two older grandsons sat on my lap or stood in the pew on either side of me watching the wonderful performance. The night would only have been better if my mother had been well enough to come with us. The program presented a story of a young lady who was caught up in the worldly part of Christmas with lights, tinsel, etc. She was guided through the tutoring of a used book store staff to see the historical origins of Christmas from Christ’s birth through some of the expressions of love in poetry, carols, service, and sacrifice. My wife and I smiled with red, teary eyes all the way home. What a blessing it was sharing this time with our family! Have you made the time to attend Christmas programs? Have you planned to present “the real reason” when you have parties or your family events? While service and love are expected from each of us as God’s children all throughout the year, the season of Christmas is the easiest and most important time to refresh your spirit and teach your children. Please use this time to grow and teach! We will practice and play games this week and next. See you on the court! Thank you all for a successful 2nd week of 2018-19 CSports Basketball! There were great crowds at all of the games and the cheers, smiles, and flashing cell phone cameras showed that we are doing what we are supposed to be doing. Thank you for the time and effort you put in each week coaching and organizing so many things that make our sports programs meaningful and fulfilling. I know competitive sports sometimes bring out the human nature of frustration and disagreement, but I know that we are all striving for the same goals of mentoring and modeling for the children and families who are watching us. Remember that all refs and most scorekeepers are volunteers and are doing their best. If there are problems please take either Mrs. Rose or me to the side and ask us to intervene. There is never any shouting at volunteers. When my kids played league and school ball I was the worst! Therefore, I sympathize with all who are having to “hold it in” for the ministry. We had several volunteers do halftime devotions, most informing about and encouraging ladies to attend our upcoming Women’s Conference. My devotions in between all of these others was an encouragement for those who so faithfully bring children to and support our sports activities. You/they are displaying your unconditional love for them which God first displayed for you. I referred to the 6th Chapter of Deuteronomy, 7th verse which commands us to “Tell it to your children” all the time. I read a viewpoint some time ago referring to “huddles”. This is play-off time in all leagues of football and I know many of us spend a lot of time in our favorite chair watching games. The author of the article I read wrote about how our entertainment is limited to the plays and replays we are shown. During huddles and halftimes the cameras show cheerleaders, bands, and commercials. But, we know that the plays we watch don’t “just happen”. The blocking schemes, the pass routes, the assigned coverage, and all of the plays are called and discussed in the huddles and in the locker rooms. His point was, this is church – worship services, small groups, any time we gather “in His name”. Matthew 18:20 is where Jesus tells us, “For where two or three are gathered in My name, there I am among them.” Hebrews 10:24 says, “And let us consider how to stir up one another to love and good works.” Worship opportunities are our “huddles” where we learn “the plays” we need to run throughout the week. Trust me, when we gather in the gym for CSports activities, the Holy Spirit is present. When coaches gather with their teams for the team devotion during practices, the Holy Spirit is with them. When we read the Bible and pray with our children and grandchildren, the Spirit guides us. The search for, the submission to, and the commitment to the leading of the Holy Spirit is what determines our effectiveness in the lives of our families, work environments, or wherever we may be led. We have all been called to be God’s servants in our positions of leadership, whatever they may be. Let us not discount church attendance, Bible study, small groups, etc. so that our cups may be filled to overflow on all God’s children the Spirit sends our way. Please remind your teams to come get their “C-Sports at the Jags” tickets for the game which will be Saturday, January 5 at 3pm at the Mitchell Center. All of our group will be in one big section and the USA people will be taking our picture while we’re there. We encourage our players and coaches to wear their basketball shirts. There are no C-Sports games that day due to New Years. We need to move the $5 tickets quickly so that I have time to get more for the procrastinators. Please remind families to not leave valuables visible in their vehicles. Especially this time of the year, “the wolves will come to feed” wherever they see a lot of cars. I hope you all take advantage of the numerous Christmas programs, light displays, and worship opportunities available during this blessed season. Last night I saw my grandson, Jackson, who is on our K5 Knicks team, sing his first solo in church. What a blessing! Please enjoy all you can fit in your schedule between now and January 1!